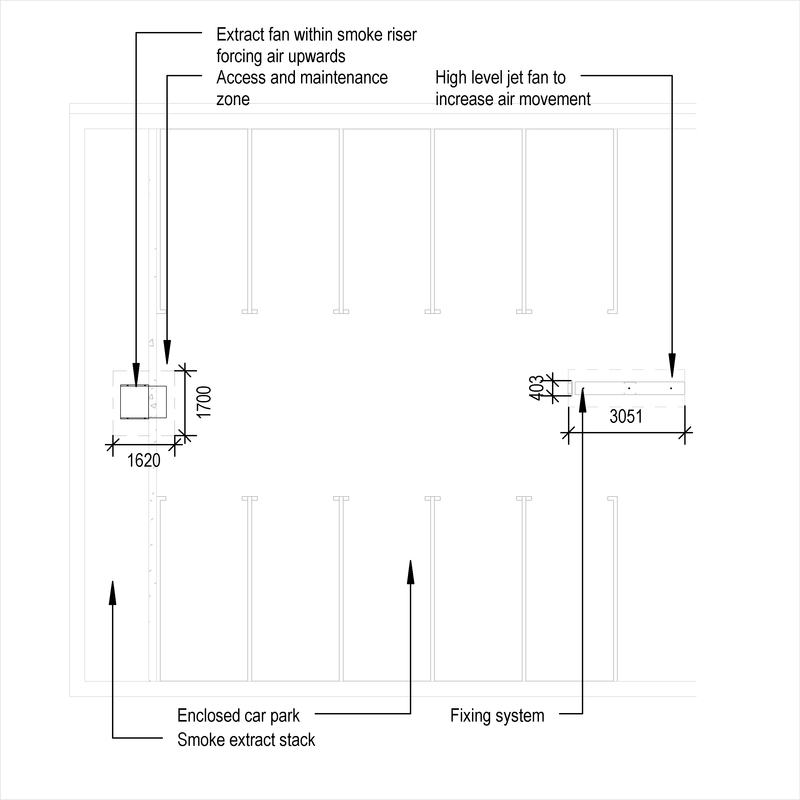 A car park supply system typically comprises of items such as external supply terminals, air ductwork and accessories and filters. 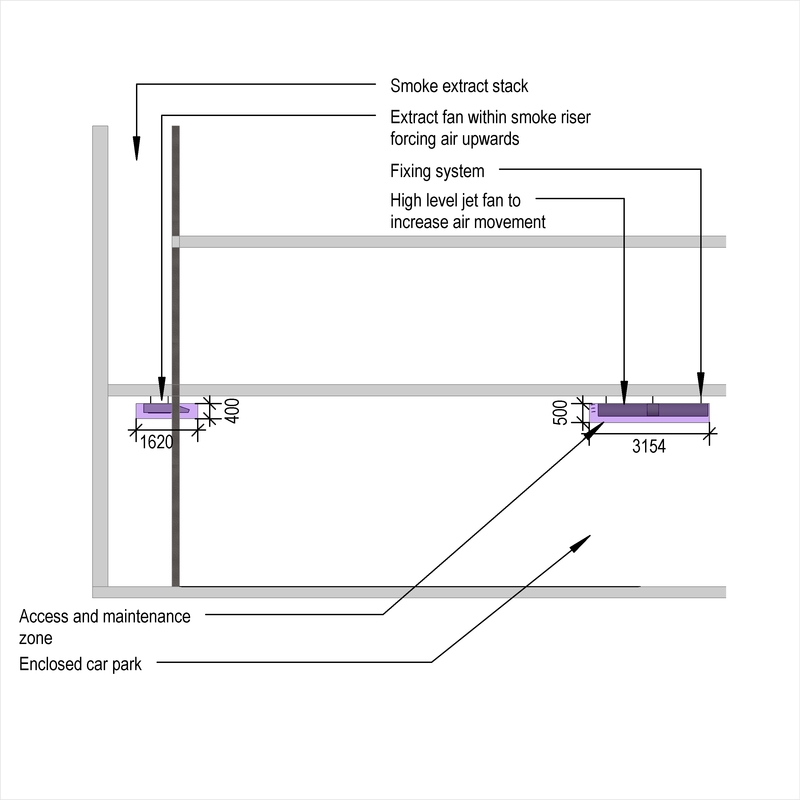 Complete this electronic spreadsheet to ensure that your Car park supply systems product information meets the requirements of Level 2 BIM. This is important as it will enable your customers to select, specify and use your products within the BIM environment. Once you have completed this template you can host it on your own website or distribute it to your customers. Please note that we do not host completed product data templates within the BIM Toolkit. 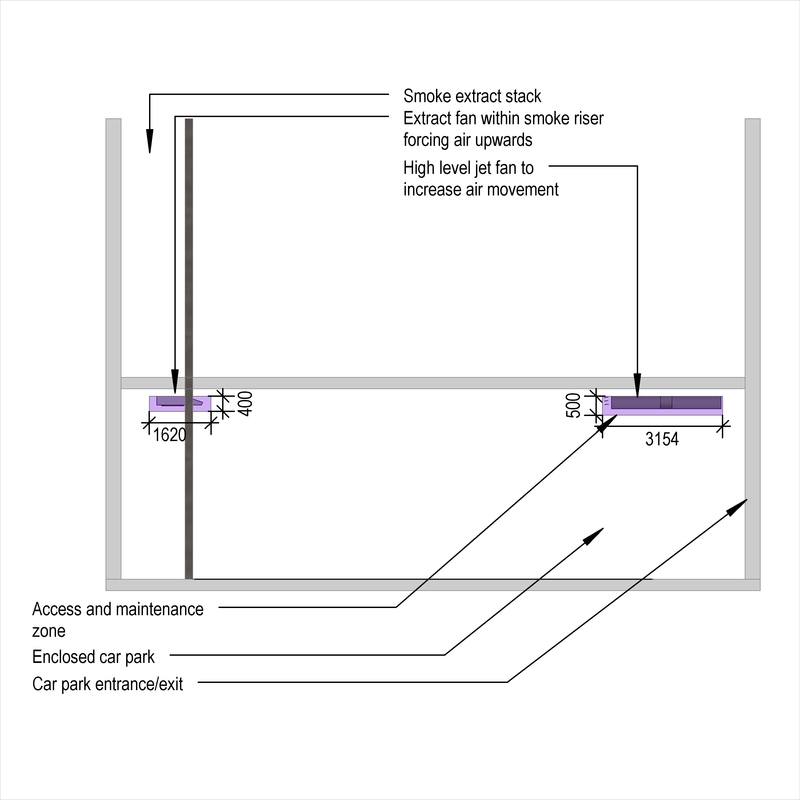 The above illustrations are for Car park extract systems from the NBS section Car park ventilation systems. 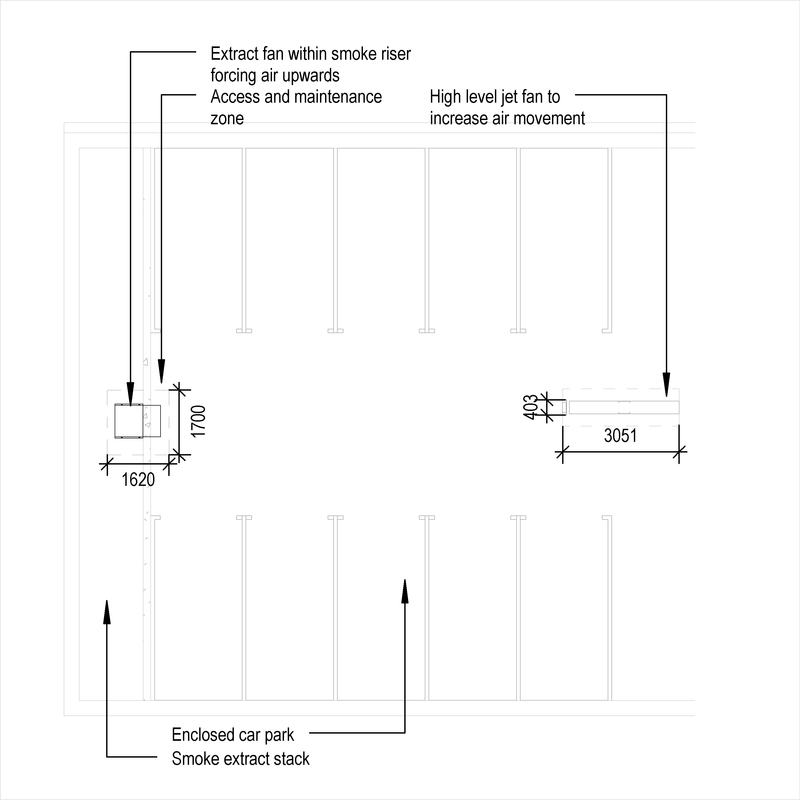 This is indicative of the LOD requirements for Car park supply systems. 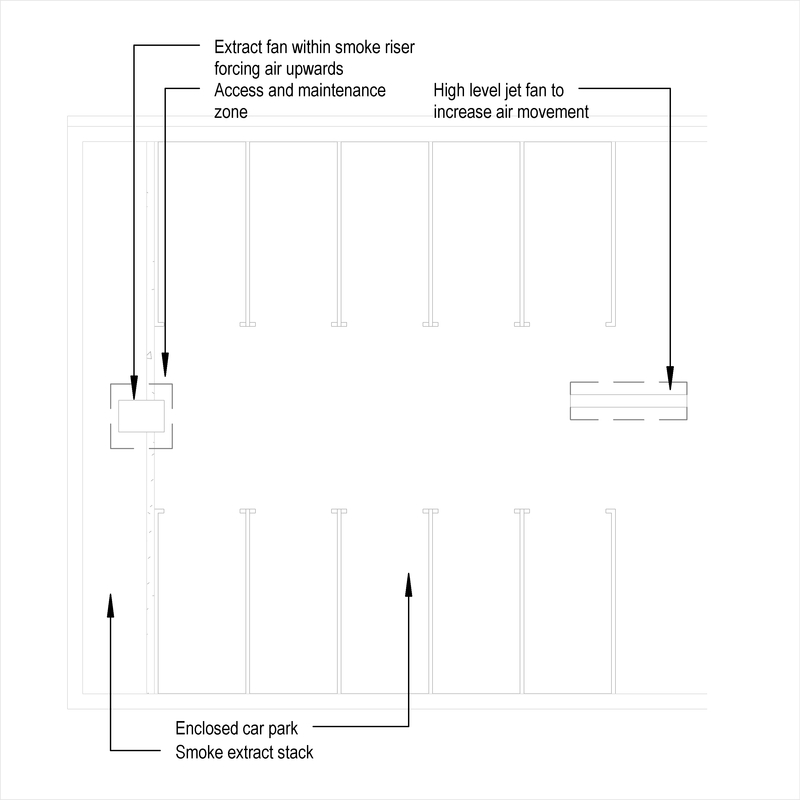 Design of car park ventilation Design, Standard and Application. 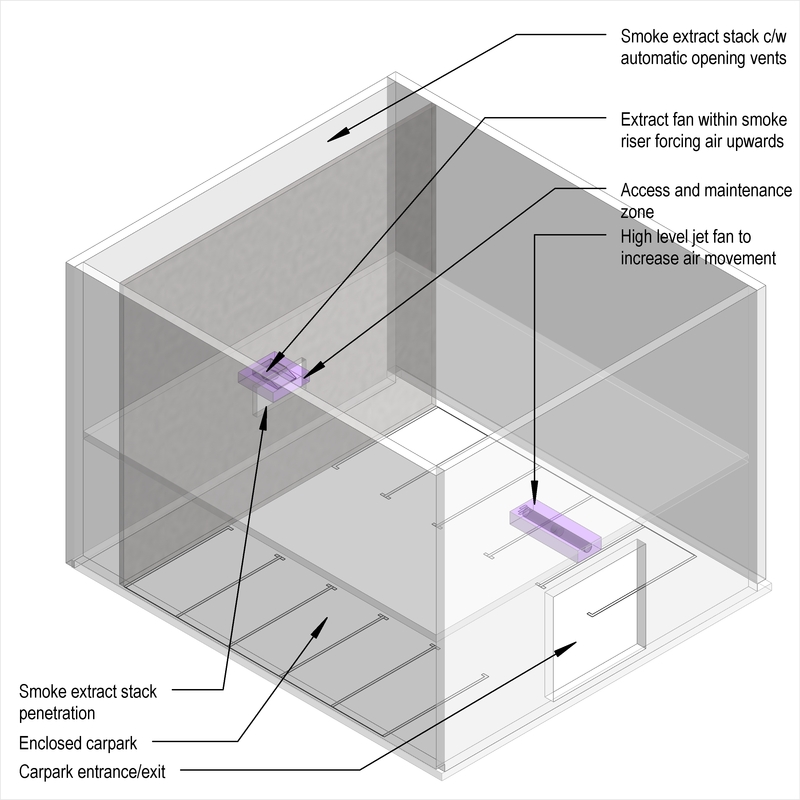 Performance criteria Smoke control, Air change rate and Air velocity in escape routes. Fan selection Flow rate, System pressure and Operation. 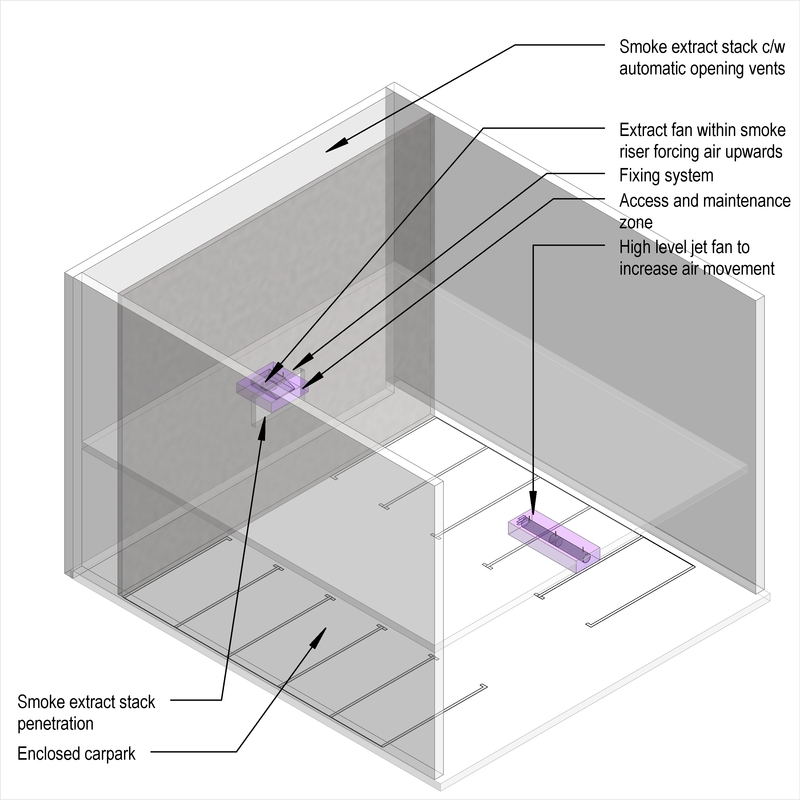 Activation and operation of systems Ventilation mode, Fire mode and Fan control. Integration with fire alarm systems Objectives and Standard. Interaction with fire protection and building systems Impulse fans and sprinklers, Other ventilation systems and Lighting, signage and public address systems. External supply terminals Products such as Aluminium louvre panel units. 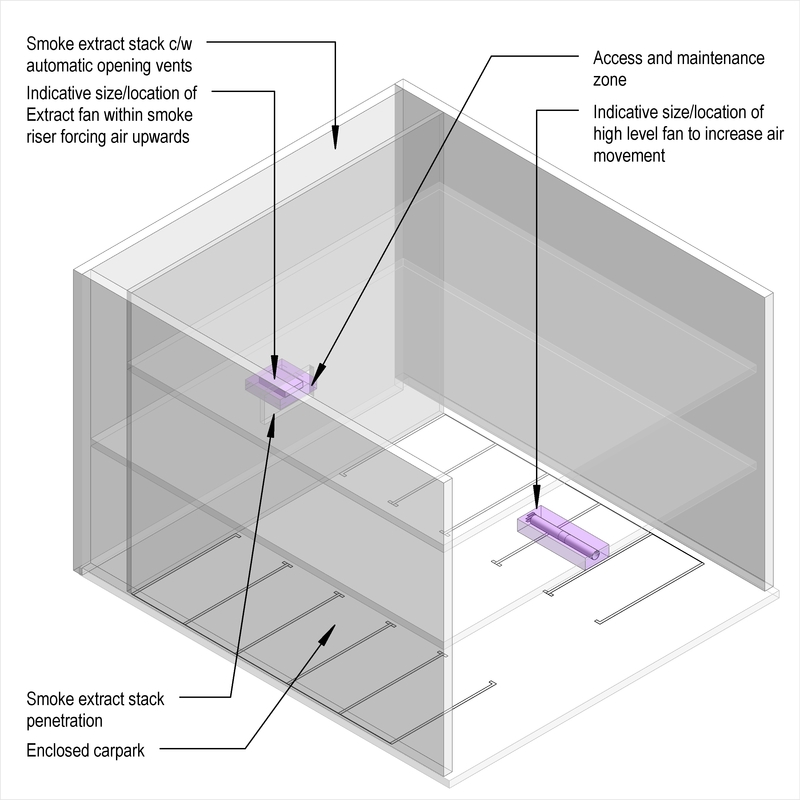 Air ductwork and accessories - Accessories Products such as Duct access panels. Filters Products such as Panel air filters. Fans Products such as Axial flow fans. Internal supply air terminal devices Products such as Air diffusers. Controls - Central control and building management system Products such as Ventilation control systems. Controls - Local control Products such as Mechanical services control panels.